Keeping up with the many characters and motives of Middle Earth can be difficult. 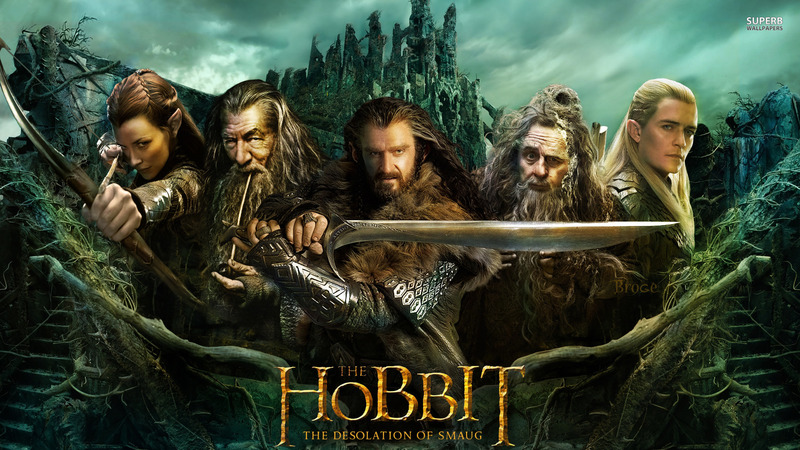 Here is a quick survival guide for the upcoming movie The Hobbit: Desolation of Smaug. For those who have or haven’t seen the first movie, use this to brush up on what characters are important and which ones to look out for. Bilbo Baggins: The main character of the story. He is a hobbit (they like to talk, eat, and do ordinary, unexciting things) who has been thrust into the adventure of Thorin and company. Thorin: The rightful heir to the kingdom of the Lonely Mountain. He has gathered what remains of his closest kin and has embarked on a journey to retake the lost home of the dwarves. Company: Excluding the characters already noted, the company includes:, Bifur, Bofur, Bombur, Fili, Kili, Gloin, Oin, Ori, Nori, Dori, Dwalin, and Balin (all of which are related dwarves of Thorin). Gandalf the Grey: A wizard that tends to create adventures wherever he goes. He is the one who brings the adventure to Bilbo Baggins. Bard: A lake man of special descent; he is an excellent archer and can still recall the damage Smaug inflicted upon the townspeople. Legolas: The prince of the Woodland Elves. He would prefer to keep out of other people’s problems. Also, he is not very fond of dwarves. Goal: To retake the Lonely Mountain, reestablish the dwarven kingdom, and also rescue all of that gold that is just sitting in that mountain. Problem to worry about when we get to the mountain: The dragon. He hasn’t been seen in 60 years, but that is not entirely convincing proof that he is dead. Problems to face now: Getting to the mountain without getting killed, which is more difficult than it sounds. Smaug the Terrible (the dragon): Having been asleep for half a century may have made him rusty, but he is still a dragon. Azog (the white orc): He has sworn to destroy the line of Durin (Thorin and company fall in that line). He has also a very large grudge against Thorin for cutting off his left arm. The Spiders: Really big (like the size of your desk) hairy ones. Ugh (Shiver). Need I say more? The Wood-Elves: They have a bit of a running grudge against the dwarves. Not necessarily evil, but they aren’t the most friendliest type either. The Lake Men: As far as helpfulness goes, they are better than the wood-elves (a close ally). However, they aren’t too keen about waking up their next door neighbor, Smaug. The Necromancer: Most definitely evil.